Ultracapacitors are routinely used in light rail and smaller trains. They have been implemented on electric and hybrid trains and are becoming key to rail transport. Ultracapacitors can be used to provide engine start power for locomotive trains. 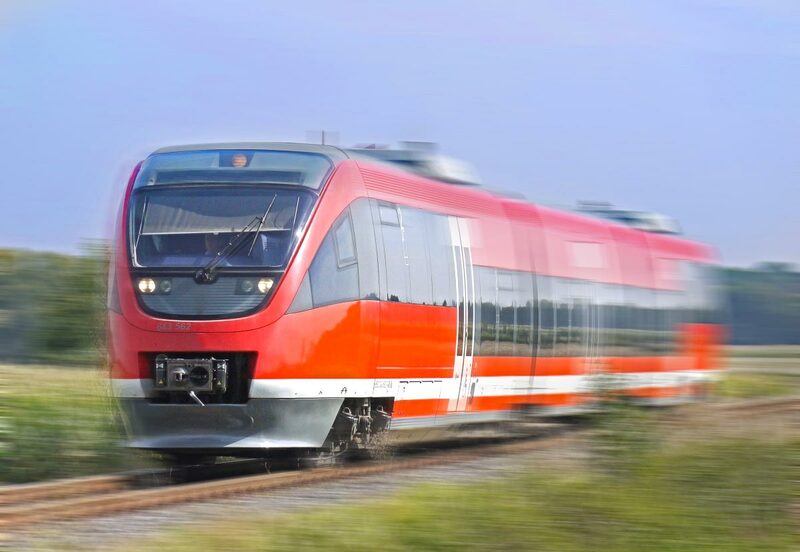 In addition, ultracapacitors can recover energy from a train braking and then provide additional power when the train begins to accelerate again. Ultracapacitors have proven to be a superior technology for regenerative braking in hybrid buses and trucks and cold starting of diesel engines. 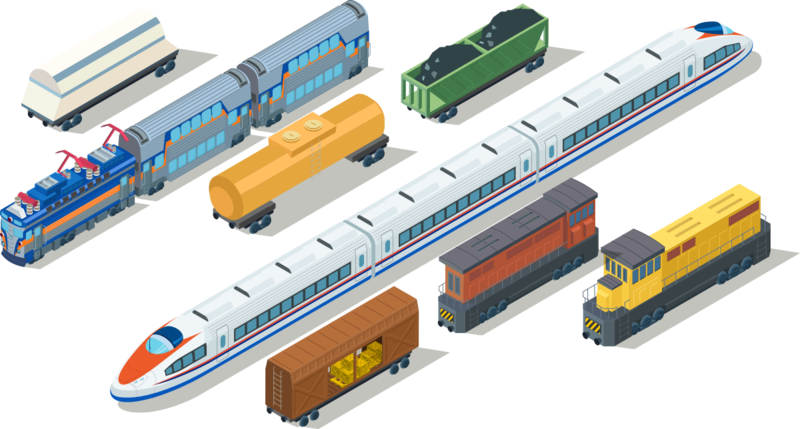 These technologies can be applied in a similar way to rail vehicles. Compared to a typical lead-acid battery starting system, the space requirements for an ultracapacitor engine starting system are significantly smaller. Skeleton Technologies' SkelStart Engine Module is ideally suited for starting diesel train generators, and solve the problem of space by providing all the power necessary while taking up 6 X less space at about 30 X lower weight than lead-acid batteries, making it an easy retrofit solution. The SkelStart module is charged via a DC-DC converter, which provides control of supply for the engine and charges the SkelStart Engine Module from flat to fully charged less than 10 minutes. The technology that has been used in motorsports for years is now available for diesel trains. Our Kinetic Energy Recovery System can save you tens of thousands of euros per year. The effect of regenerative braking on CO2 emissions depends on how the trains are employed, and on the generation mix of the electricity used. Trains can recover up to 20% of electricity depending on whether the train is used as a long-distance train or a full stop commuter train. Energy recuperation can have a global impact considering how many thousands of tons of people and cargo are moved by rail every day. A train with a KERS consists of control switchgear, cables, protective devices, cooling, mechanical enclosures, monitoring equipment, control module, DC/DC converter, and ultracapacitor modules. Electric trains are the future for rail mobility, providing reliability and long lifetime. 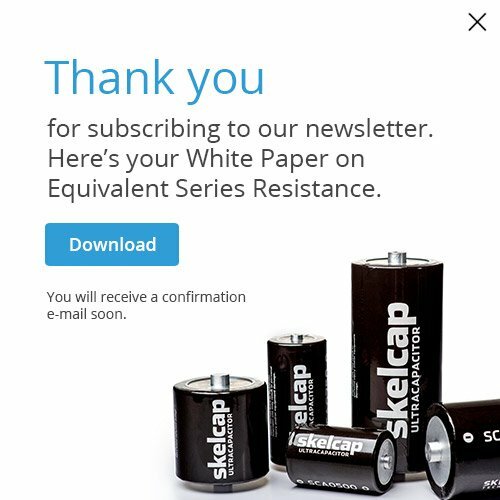 Ultracapacitors help to handle high power loads and increase reliability. The block diagram shows how ultracapacitors are implemented into a modern AC electric locomotive. On an electric network, the voltage drops between substations can be taken care of with ultracapacitor energy storage either on-board or at the railway side. Level crossings can be powered independently from the grid enhancing reliability and saving on costs. Ultracapacitor based industrial modules slash the fuel bill. In addition to not containing any harmful chemicals, ultracapacitor-based KERS modules can help significantly reduce CO2 emissions in rail industry.